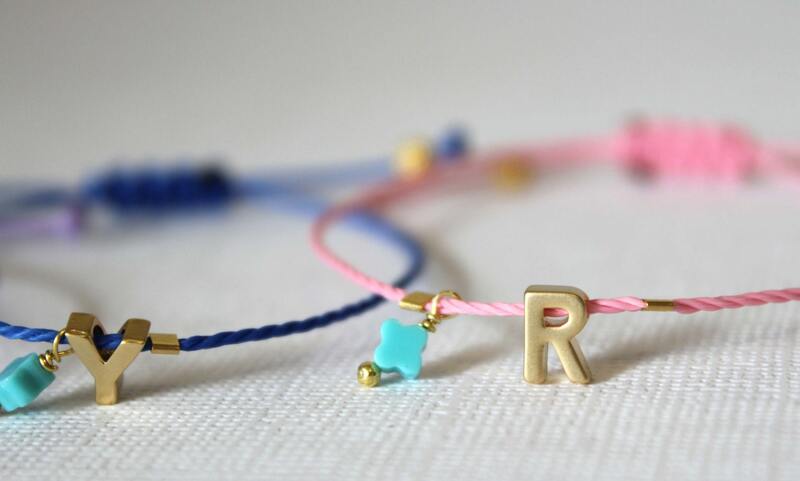 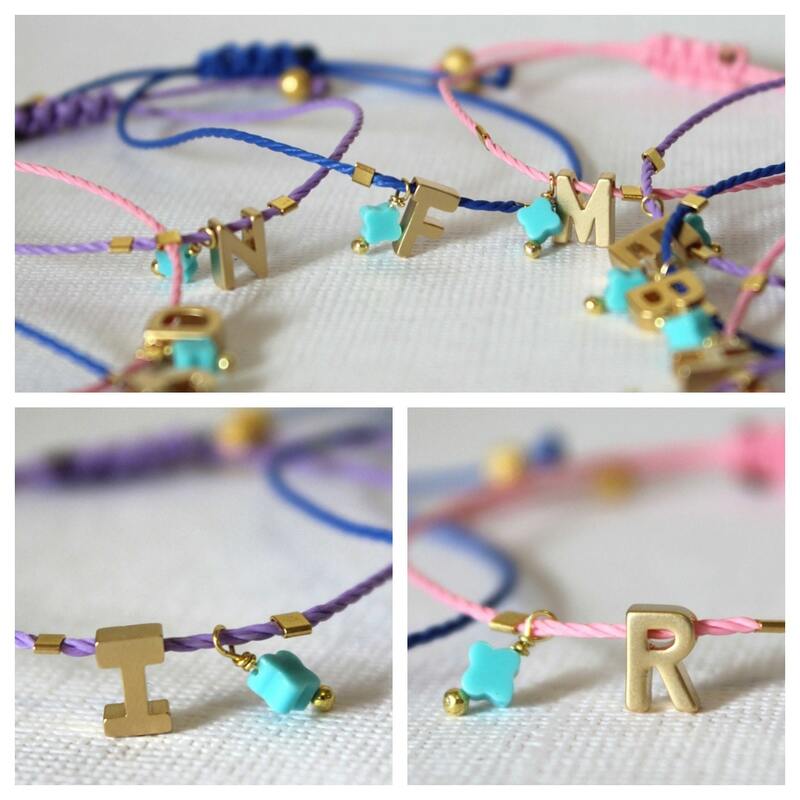 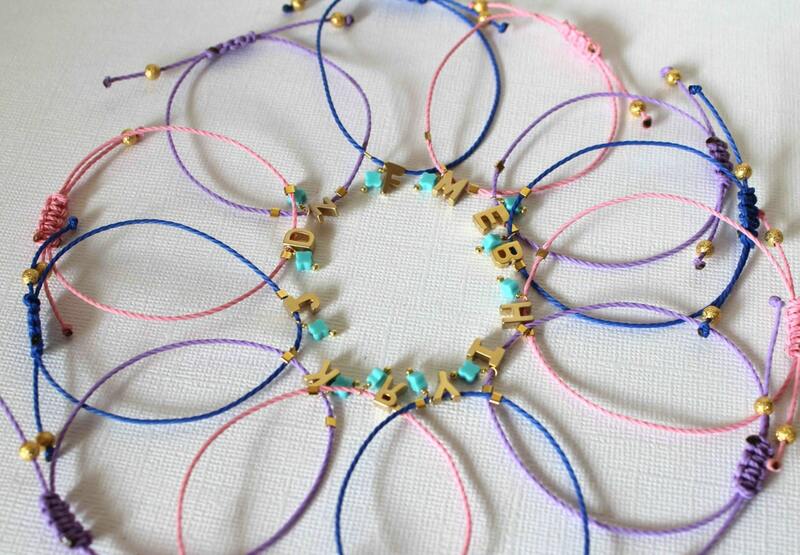 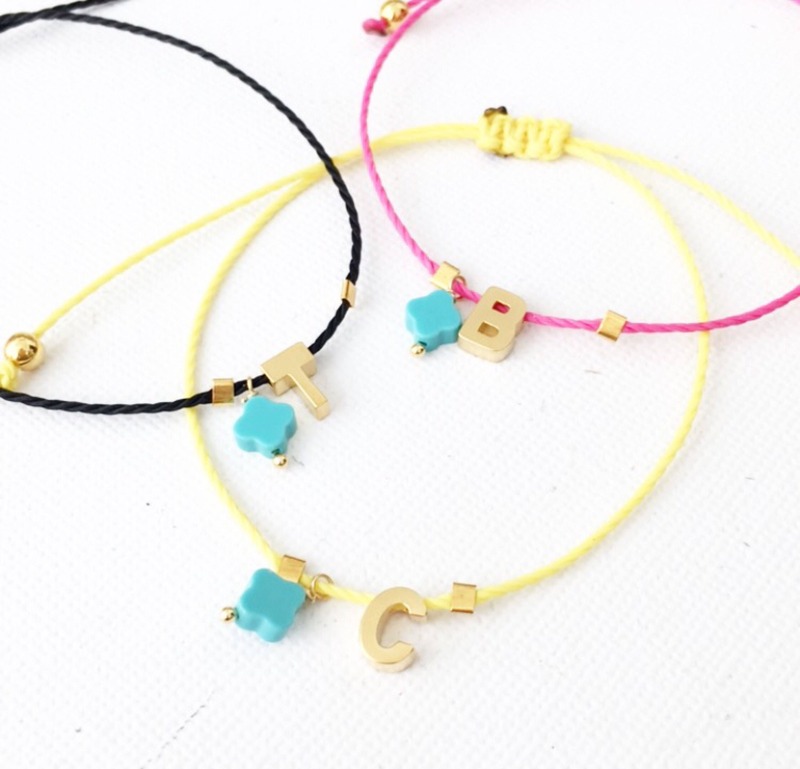 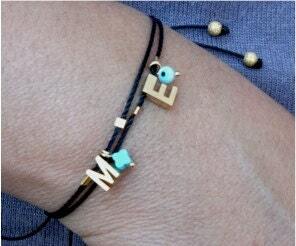 Very cute friendship bracelet perfect for a little gift to your friends or yourself!!! 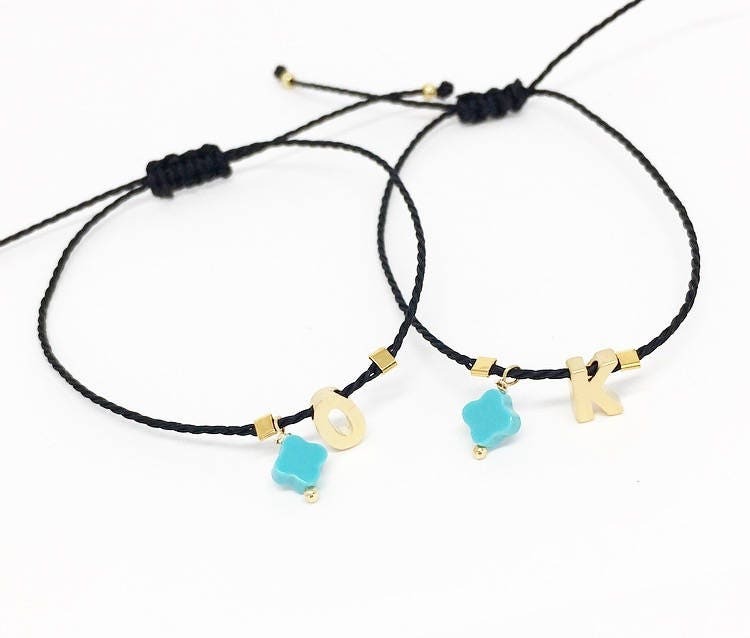 Each letter is tiny about 6mm and it is great quality. 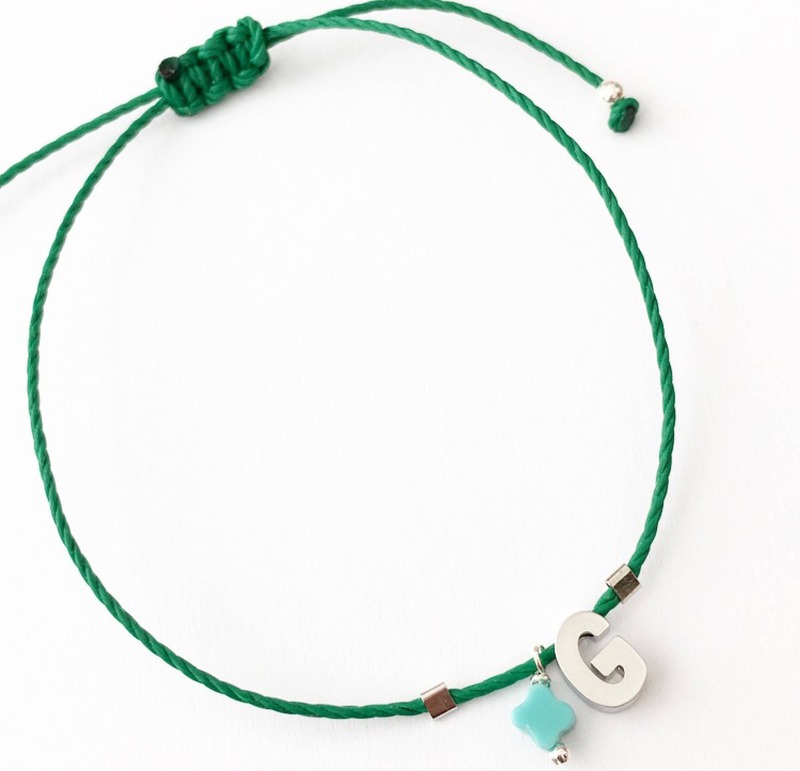 It is combined with evil eye bead or little turquoise or white tiny clover. 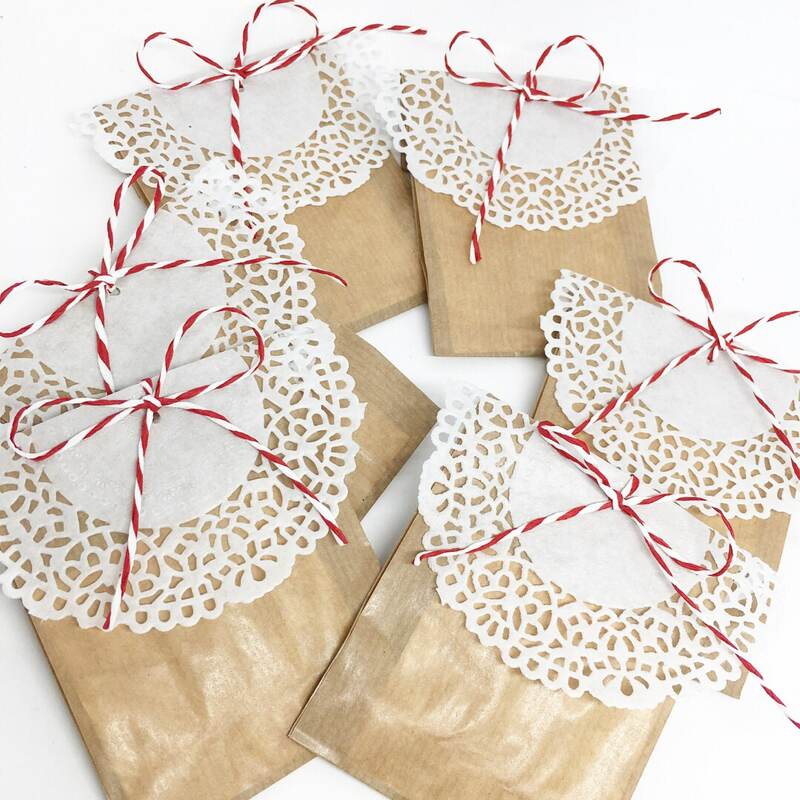 All my things come wrapped as a gift!